AGROVOC is a thesaurus in agriculture, and is promoted by the Food and Agriculture Organization of the United Nations (FAO). It covers also related areas such as environment, chemistry, social and political aspects of food and agriculture. To date, AGROVOC is a multilingual concept-based thesaurus, with 32,000+ concepts available in some 20 languages. AGROVOC is also a full-fledged linked data set in that it is accessible over the Web in standard formats (RDF-SKOS) and linked to a number of other vocabularies. It is used by a variety of institutions and applications, for information organization and indexing, and as multilingual terminological tool. AGROVOC comes along with VocBench, its editing environment, and AGRIS as a usecase -AGRIS is a FAO-led initiative (partners include Agro-Know and CAAS) aimed at making available data related to agriculture in a standard and interlinked way.These three initiatives (AGROVOC, VocBench & AGRIS) work in close collaboration to promote availability of agricultural information and data. This year, the AGROVOC team is working on expanding the coverage of AGROVOC and also improving the editorial workflow to best exploit the possibilities and prowes of VocBench. Currently, the AGROVOC team is working together with teams in CAB Thesaurus (based in Wallingford,UK) and that of National Agricultural Library Theasurus (based in Washington D.C, USA) to align the three thesauri and form a core of conceptual and terminological knowledge in the area of agriculture. This initiative is called GACS-Global Agricultural Concept Scheme, latest on this development can be read here. AGROVOC and AGRIS presented at InforMEA meeting in Montreux,Switzerland. The AIMS team participated to showcase AGROVOC and related the work carried out by the AIMS team on semantic standards for data interoperability in the agricultural domain. More info. 3,000 rice genome sequences made publicly available on World Hunger Day. The GigaScience Journal announced that the 3,000 Rice Genomes Project published an article on the genome sequencing and released an entire dataset in a citable format. More info. Meeting of the GACS Working Group and Steering Group. This meeting saw the setting up of a working group with individuals representing 3 organizations in the project and these were joined by 2 external experts. More info. MeSH on Demand: retrieving medical subject terms. The National Library of Medicine (NLM) launched NLM Medical Text Indexer, an easy to use tool to automatically retrieve the medical subject terms. More info. Collaboration between CAAS and AGRIS teams in the context of the agINFRA project. The respective teams met in order to set-up a bi-directional transfer of knowledge and to see how the AGRIS architecture could be reused by CAAS.More info. LinkedUP Vici competition launched.The LinkedUp project has announced its third and final competition -the Vici competition- with a 2 tracks call. Vici competition runs form 26th of May to 5th of September 2014. More info. CIARD holds an open online meeting on the future of CIARD Pathways. The purpose of the meeting was to get feedback on the renaming of Pathways to 'CIARD Good Practices'.More info. 1st of July 2014 at 16:00hrs Rome Time - "From Print to Electronic: Using the Open Journal System to Publish an E-journal" .This webinar will discuss how OJS can be used to launch an open access journal as well as the challenges faced with producing an online journal. This webinar will be presented by Toni Greider is the Director of International Programs at the University of Kentucky. 15th of July 2014 at 16:00hrs Rome Time - Open Journal Systems -(Spanish) .This webinar will discuss how OJS can be used to launch an open access journal. This webinar will be presented by Ms. Julio Santillán Aldana. 24 June 2014 at 04:00 p.m (CEST) - Free LOD2 Webinar: SIREn. From LOD2 project. 7 July 2014 at 02:00 p.m (UTC) -CASRAI: a non-profit initiative to harmonize research information and facilitate interoperability. From the COAR -Interest Group "Controlled Vocabularies for Repository Assets". What is Simple Knowledge Organization System (SKOS)? is a W3C recommendation designed for representation of thesauri, classification schemes, taxonomies, subject-heading systems, or any other type of structured controlled vocabulary. SKOS is part of the Semantic Web family of standards built upon RDF and RDFS, and its main objective is to enable easy publication and use of such vocabularies as linked data. 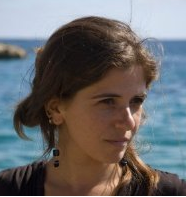 Dr Caterina Caracciolo is an Information Management Specialist at FAO and is currently the AGROVOC Thesaurus manager. Caterina overseers the maintenance and coordination of the various activities related to AGROVOC. In this interview she sheds further insight into the AGROVOC management, use and latest developments. Read the interview "We are planning a new interface for browsing and searching AGROVOC" found in the AIMS Interviews section.